Mmm, who doesn’t love cookies? Especially this time of year? The cookie bakers are in full effect and all the sugar imaginable is out and about. 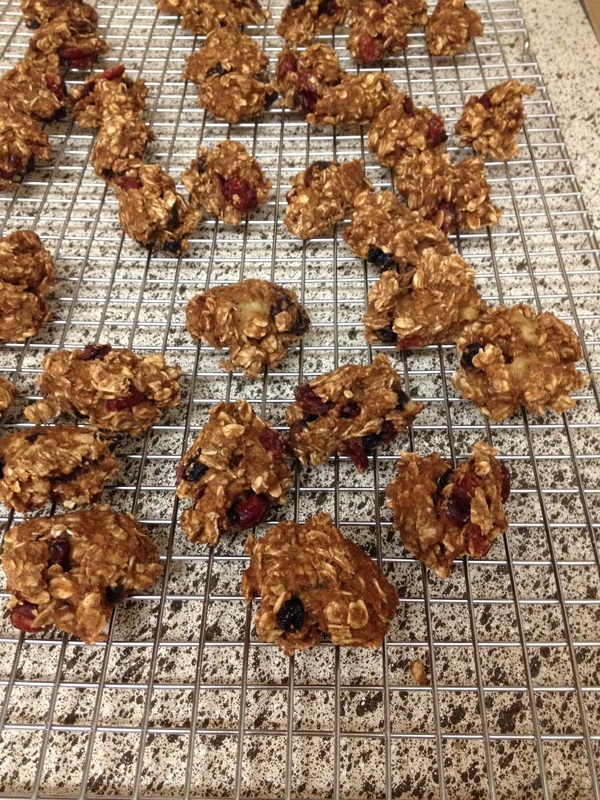 I wanted a sweet cookie but didn’t want to spend too much time on it…I mean I was making these for myself to have a healthy sweet option at home that I wouldn’t go crazy over in a sugar coma and these turned out perfect. 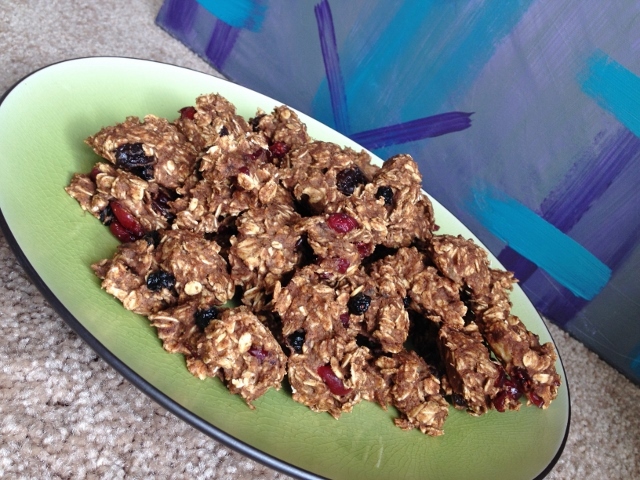 Try my Oatmeal Mixed Berry Cookies! 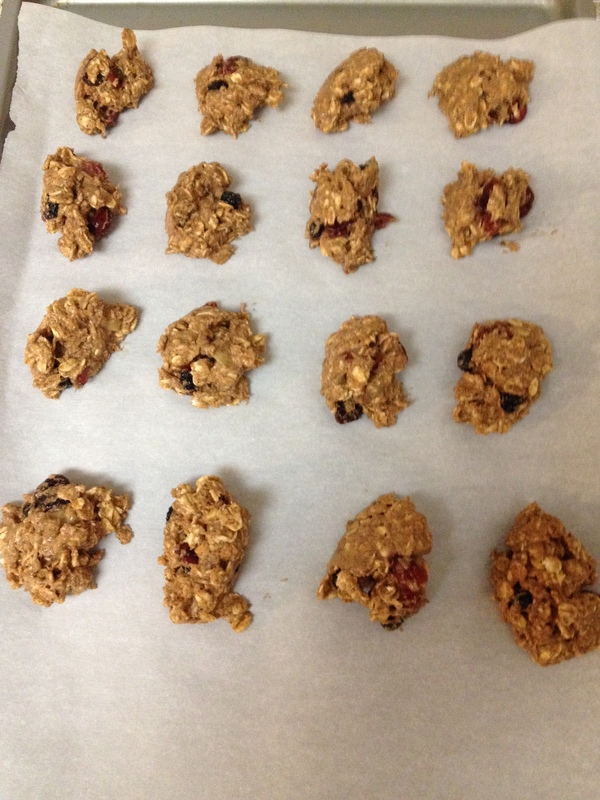 So I based these cookies off of this Pumpkin Oatmeal Cookie recipe which is totally clean and happens to be gluten free. 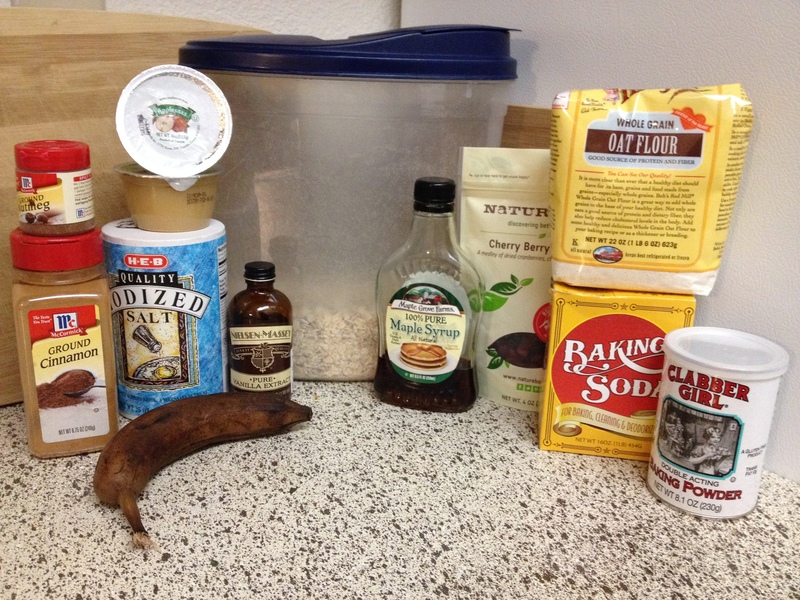 I love being able to create sweet recipes that has no added true sugar. I grew up with a mega-sweet tooth, so the fact that I can now enjoy cookies and muffins that don’t have that much sugar in them is so awesome! 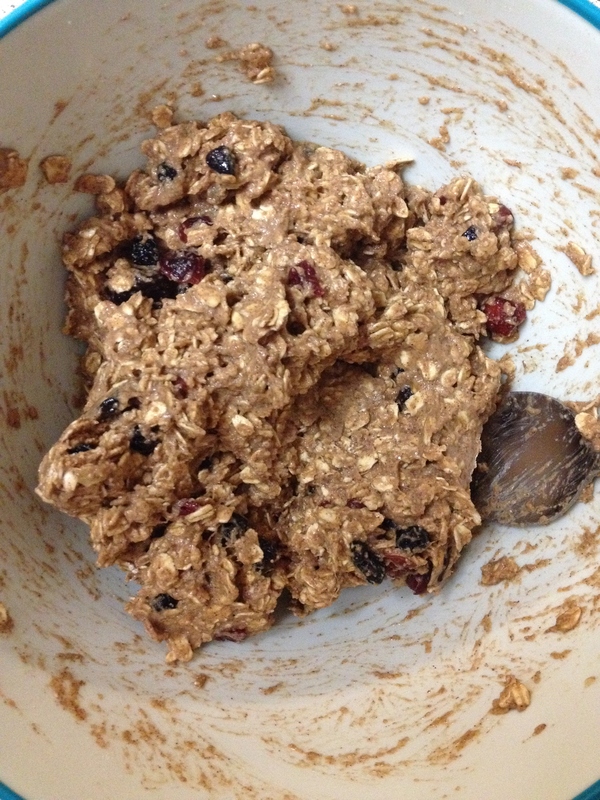 I used a dried mixed berry mix which I had gotten in a snack box from Nature Box which I paid for and wasn’t all that impressed with. Glad I tried it, since I had a coupon, but it came with mostly non-vegan products and if I am going to spend over $20 bucks I want all vegan snacks! These mixed berries were awesome. 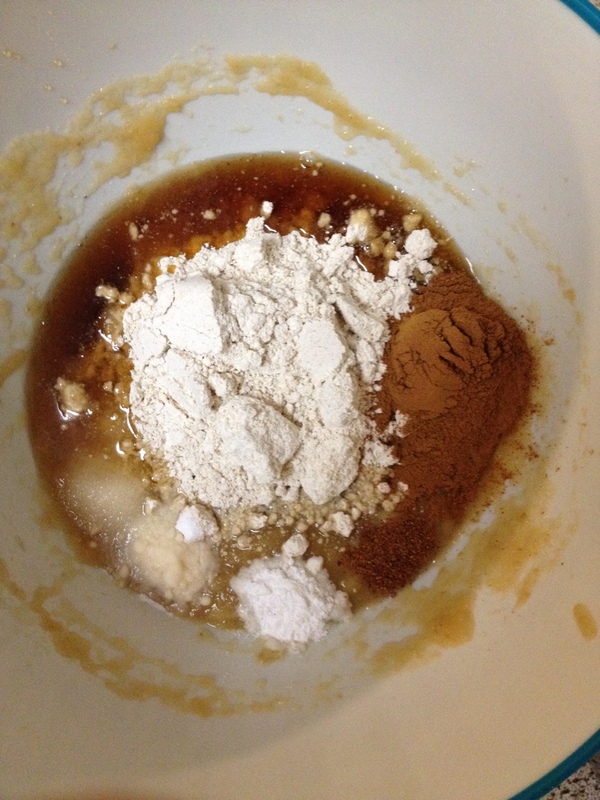 Since they had their own added sweetness I used only a little maple syrup to add a kick to them. Yum! 1. 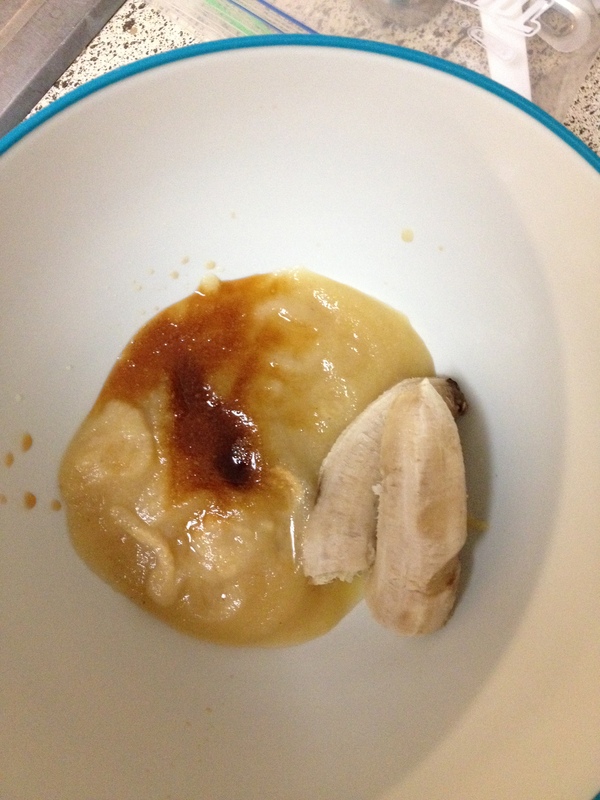 Mash the banana with a fork in a small bowl. 2. 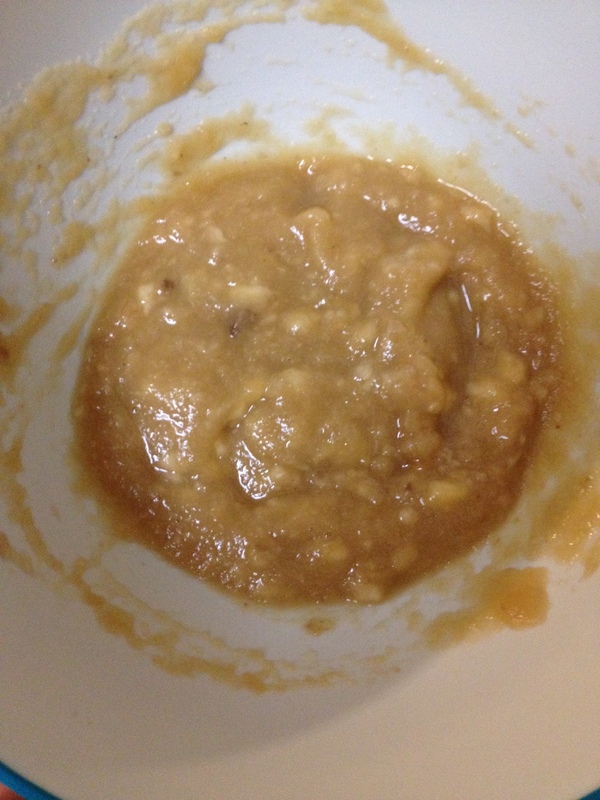 Add applesauce through maple syrup and mix well. 3. 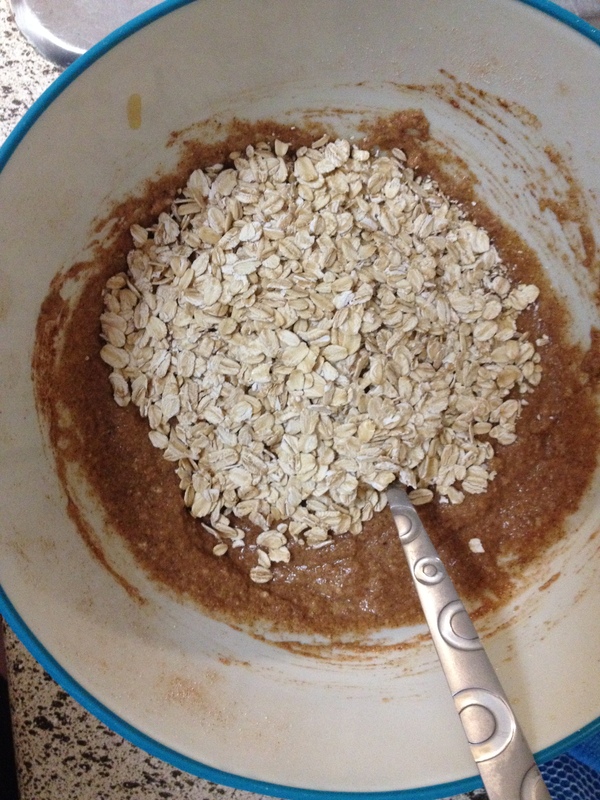 In large bowl pour salt through oats and mix. 4. 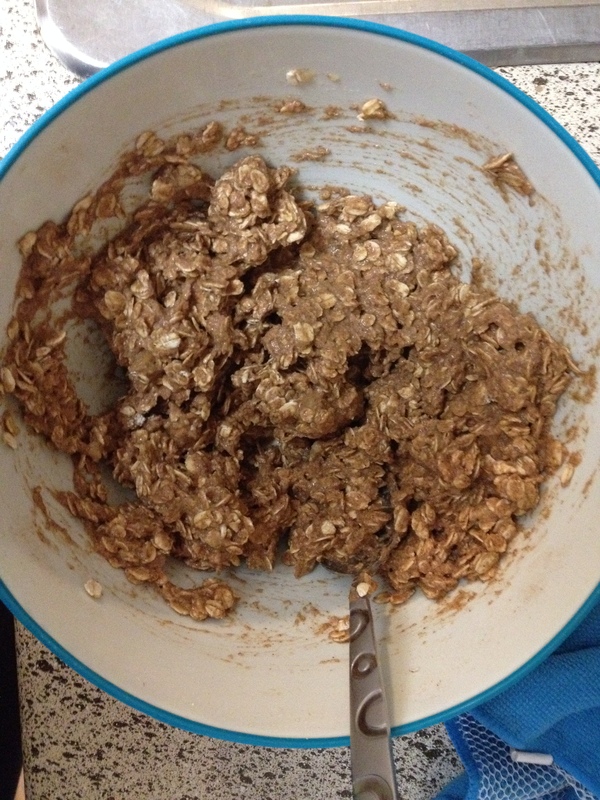 Add banana mixture to oat mixture and blend really good. 5. 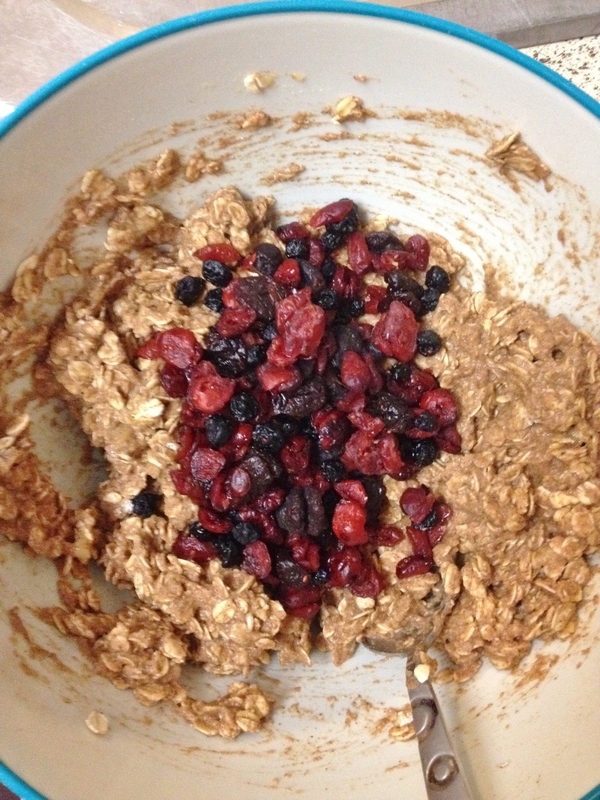 Add dried mixed berries and blend. 6. In 350 degree oven bake cookies for 10 minutes. 7. Let cool then enjoy! I’ve been a cookie-making machine this week and still going! I’ll add these to the list! Yeah! These are super easy and they take no time at all. You will love ’em.